Customer deliveries of new C-AUDS counter unmanned systems demonstrate the benefits of a hot production line with a newly certified ISO Quality Management System. 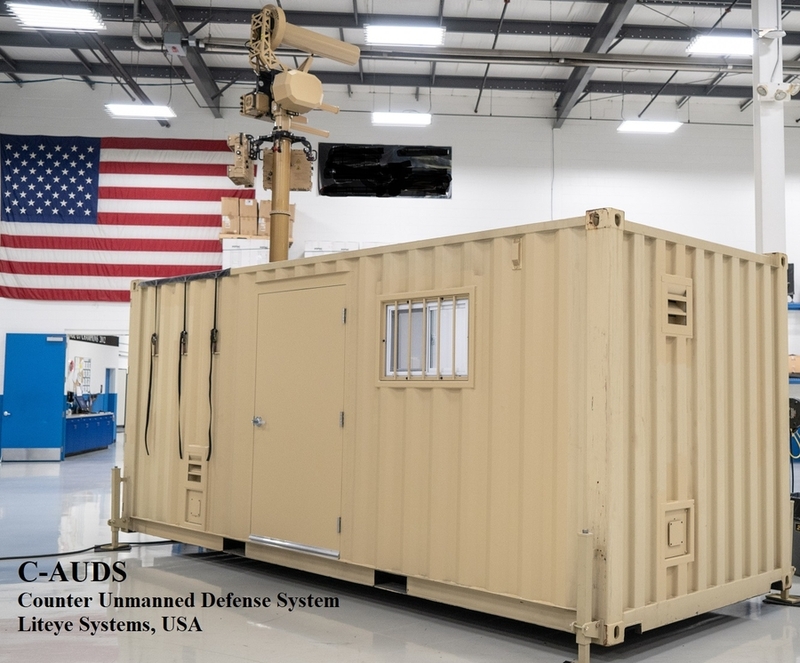 CENTENNIAL, CO, December 20, 2018 /24-7PressRelease/ — Liteye Systems Inc., on Friday December 14th delivered, on-time, the last unit of the first-round of C-AUDS (Containerized Anti-Unmanned Defense Systems) production, to Northrop Grumman Corporation. These systems will support their endeavors into the Counter Unmanned Aircraft Systems market protecting critical infrastructure and lives in numerous deployments. Liteye Systems, a U.S.A. company, manufactures C-AUDS with the help of additional US based companies Pratt & Miller and Numerica. These deliveries are significant in providing a Counter Unmanned Aircraft System (C-UAS) capability to those threatened by the emerging use of Drones as weapons. C-AUDS is based on the combat proven technology first fielded in 2016 and was instrumental in defeating enemy drones in Iraq’s battle of Mosul. Since then Liteye has continuously been adding more systems to new locations in support of these ongoing efforts. The C-AUDS containerized systems features a state-of-the-art operator suite, hardened for use in any climate. Its portability, and even more importantly its remote operation and networking capabilities provides for an operations center that can be scaled to meet multiple types of mission and location requirements. The platform’s innovative design allows for the ability to “bolt on” new technologies in the future as threats evolve in field. This provides the C-AUDS with almost unlimited ability to keep evolving to meet the threat. “We are very excited about our new C-AUDS platform as another new innovative product within Liteye’s state-of-the-art and mature C-UAS product portfolio. In addition, we are also very proud to announce that the C-AUDS systems are being managed and produced under Liteye’s ISO 9001:2015 certified Quality Management System. Our company completed its transition to the new 2015 version of the ISO standard earlier this year. This not only demonstrates our long-term commitment to delivering the highest levels of quality and performance of products, but also it reflects our passion in achieving world-class project execution, on-time-delivery objectives and overall pursuit of excellence in customer satisfaction,” said Derek Newsom, Chief Operating Officer for Liteye.